Important Notice : We now ship all custom mouse pad directly from China, by airmail or courier. Ever wish to customize your fUnc Surface? This is the only one-stop shop that you can order all the items offered by fUnc Industries LLC. Please do not combine the orders of standard fUnc mouse pads and the custom pads, they will be handled by different fulfillment process. If you have problem to load the custom tool please download and install the correct version of Adobe Flash Player. 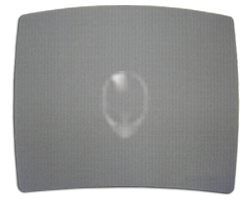 U stands for ULTRA THIN which best describes fUnc Industries U series mouse pads. At a mere 0.03"(0.8mm) thick, this model is about the same thickness as eight sheets of paper. The U- series fits nicely inside laptops between the screen and keyboard. The surface is compatible with any professional hard surface while the base incorporates a uniquely engineered, ultra-low profile backing with excellent traction characteristics. The backing will stick to the desktop like glue during mousing activities, and release when mouse movements have stopped. For those who want to turn any desk top into a super mousing war room, we have sUrfaceX option, an extra large area of quality polycarbonate surface with repositionable adhesive backing, it will not fight space with your keyboard, monitors, speakers or any device on the desktop, best set up for any i-cafe or LAN party. 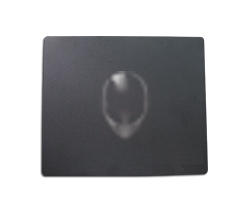 All are the best quality of Archetype double sided pads offered by fUnc Industries LLC, you can choose either Soft-Feel Hard Plastic base or Machined Billet Aluminum base. Any combination of smooth/rough surface on each side. 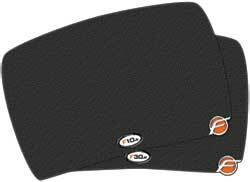 All are the best quality of classic 1030 double sided pads offered by fUnc Industries LLC since 1999, you can choose either black or orange rubber base. Any combination of smooth/rough surface on each side. F-series The extra large single side pad. 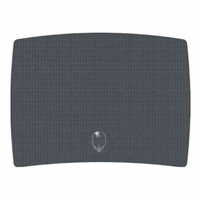 Func Industries F-Series Competition Mousing sUrfaces are single-sided, large format mouse pads constructed of high quality polycarbonate with exceptional and consistent tracking qualities.